Vascular anomalies are common lesions affecting at least five percent of the population. Patients often require multidisciplinary care and are familiar to most medical and surgical specialties. Vascular Anomalies: Classification, Diagnosis, and Management is a clinically oriented manual that can be used for patient care, teaching, or research. The book covers the entire field of vascular anomalies, including infantile hemangioma, congenital hemangioma, kaposiform hemangioma, pyogenic granuloma, rare vascular tumors, capillary malformation, venous malformation, lymphatic malformation, lymphedema, and arteriovenous malformations, as well as overgrowth syndromes. 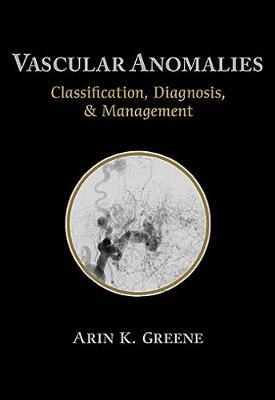 The book presents all major types of vascular anomalies are illustrated, and algorithms for diagnosis.It's outline format, compact size, and portability (small enough to fit in a lab coat pocket) make it an ideal and convenient companion that you can easily referenced in clinical settings.